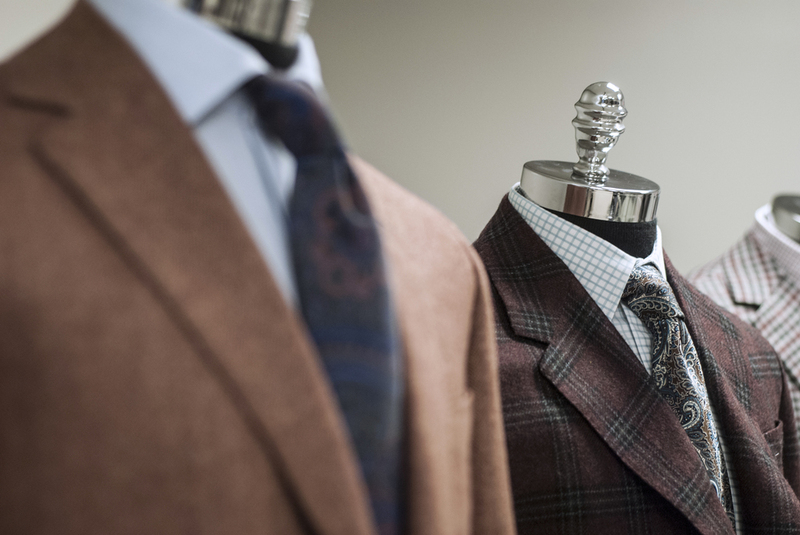 Why Custom Suits Are Catching on With Consumers. Posted on November 1, 2016 by Oxxford Clothes and tagged Bob Denton MR Mag Custom Suiting Menswear. Posted on October 4, 2016 by Oxxford Clothes and tagged Shirting Event NYC Promo. Posted on August 16, 2016 by Oxxford Clothes and tagged Rolls-Royce Owner's Club Strive For Perfection Rolls-Royce Cars Luxury. In celebration of our centennial, Esquire requested Master Cutter, Jesus Flores, to be featured in their June 2016 issue. Posted on June 1, 2016 by Oxxford Clothes and tagged press esquire menswear sartorial american suiting. And that means bright palettes, lighter layers, and time to soak up the sun! Posted on March 14, 2016 by Oxxford Clothes. Posted on March 1, 2016 by Oxxford Clothes. We had the pleasure of catching up with MR Mag at MRket this year. They featured a special article on Oxxford Clothes celebrating 100 years! Bob Denton, President of Oxxford (pictured left), and Chris Brueckner, Vice President of Sales, talk about luxury fabrics and staying faithful to quality. One of the most cherished brands in U.S. history, Oxxford Clothing is about to celebrate its centennial. Most of the hoopla is happening in the second half of 2016, but to prepare ourselves, we paid a visit to Oxxford president Bob Denton and sales director Chris Brueckner at the Oxxford store in midtown Manhattan. Although 80 percent of Oxxford’s business is custom, Denton maintains that retailers need to stock key styles and sizes so customers can touch and try on before buying. “You don’t buy a Mercedes without driving it first,” he points out. “A good example is the brighter blue shades we are now selling so well; without a sample, the customer is less likely to request it.” Denton also notes that since today’s slimmer fits present challenges, basted try-ons are an important accommodation. Stay tuned for more on Oxxford’s 100 years of extraordinary tailoring, coming soon in print and online. Posted on February 8, 2016 by Oxxford Clothes and tagged suiting centennial handmade tailoring tailored custom. We wish Rocco Giovannangelo well in his decison to retire as Head Master Tailor. 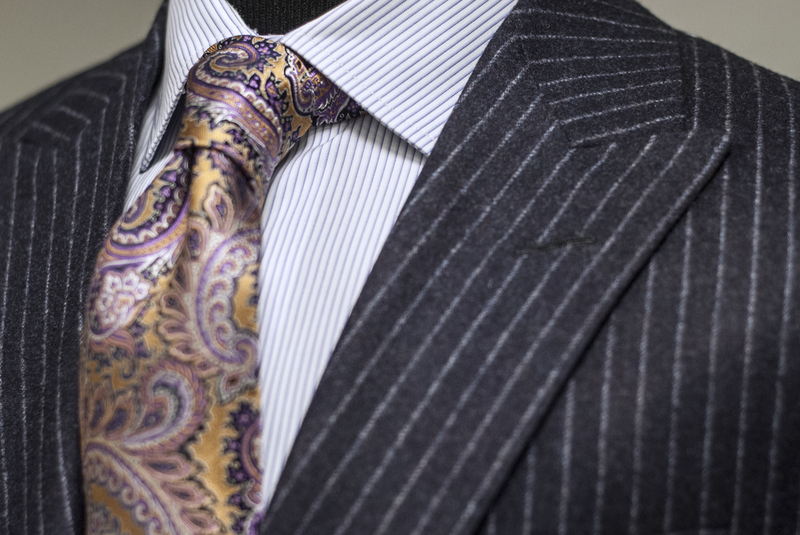 He has worked with us since 1994 and has outfitted everyone from past Presidents, celebrities, and business leaders. The last of the true tailors, Rocco has worked well over retirement because he simply loved what he did. From designing to overseeing every last pattern, hand stitch, and detail, nothing passed through the shop without Rocco’s seal of approval. We will miss you, Rocco! Not to worry! Stanley Morawar will be stepping into the position of Head Master Tailor. With exquisite skills, he will be maintaining the highest handmade quality Oxxford Clothes has given for the past 100 years. He has worked alongside Rocco since 1997, and has been managing our trouser department for 15 years. We have tremendous faith that Stanley has what it takes to continue directing Oxxford Clothes into its future. Posted on February 3, 2016 by Oxxford Clothes.